Step One : Sift the flour, baking powder, a pinch of salt and the semolina into a bowl. Add the sugar and mix thoroughly. Make a well in the centre of the mixture then add the eggs and the milk. Beat thoroughly until the mixture forms a thick, creamy batter. Stir in the melted margarine or butter and add the walnuts. Step Two : Heat a well-greased griddle or thick frying pan with butter and heat. Drop tablespoonfuls of the batter, how many depends on the size of cakes you prefer, and cook until golden brown on one side, after 2-3 mins. Turn the cakes and cook for a further 2-3 mins on the other side. Step Three : Repeat the process until all the batter is used. Serve with butter and golden syrup. 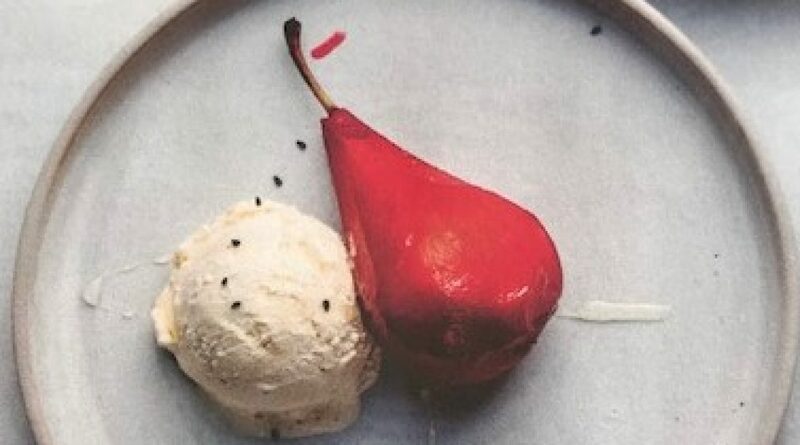 Recipe courtesy of Psychologies Magazine (May 2018) and taken from Afternoon Tea at Bramble Cafe by Mat Follas a new book by the Winner of MasterChef in 2009. There are only three ingredients in a classic Swiss roll : flour, sugar and eggs. 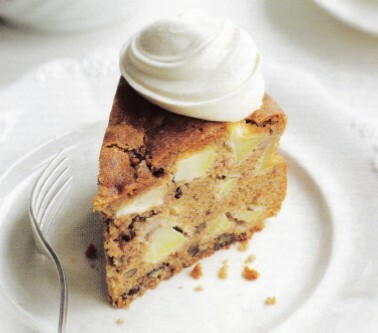 It can be a dry cake, so compensate with fresh fruit and indulge in a little extra cream. Step One : Preheat the oven to 140oC / 280oF / Gas Mark 1. For the filling, hull and chop the strawberries. Put in a bowl and fold in the lemon juice and caster sugar. Leave for 30 minutes. 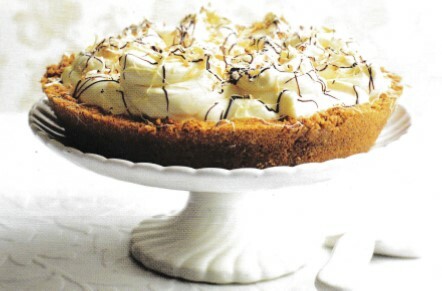 Whip the cream, vanilla extract and icing sugar to a light, just setting, whipped cream. Chill in the fridge. Step Two : For the cake, take the prepared Swiss roll pan, oil the top of the paper and lightly flour the paper and the sides. Put the eggs and caster sugar in a bowl and mix for at least 10 minutes with a hand-held electric whisk or in a stand mixer, until it has tripled in volume. Add the vanilla extract and whisk. Gently fold in the flour, one third at a time, until just combined. Step Three : Pour the mixture into the prepared pan and use a spatula to spread it into the oven and bake for 12 minutes. Check the cake is cooked by touch; it should bounce back when lightly pressed. If it is soft or it ‘crackles’ when touched, put it back in the oven for 2 minutes more. Step Four : Remove from the oven and leave to cool for 2 minutes. Cover a wire rack with some oiled and floured baking parchment and turn the cake out onto the rack. Leave to cool for 5 minutes, then peel off the baking parchment. Gently cut halfway through the cake, across the width on the short side, about 1cm from the edge to help it roll up. Step Five : Starting from the side where you have made the cut, carefully roll up the cake and gently squeeze it to form the roll, before unrolling again in order to assemble the final cake. Step Six : Finish the filling by folding together the whipped cream and strawberries. Plaster the mixture generously onto the cake, then roll up to make a Swiss roll. Trim the ends and dust with icing sugar. Step One : Preheat the oven to 160oC / Gas Mark 3. Grease an 18cm round, 7cm deep cake tin and line it with baking parchment. Knead the marzipan on a board dusted with icing sugar until it softens. Divide into 3 equal portions. Roll out 2 of these into 18cm circles to fit the cake tin. Divide the remaining amount into 11 equal portions, roll these into 11 balls, cover with cling film and set aside. Step Two : Cream the sugar and butter together. Add the eggs gradually, plus 1 tblsp flour if the mixture shows signs of curdling. Sift the flour, spices and salt into a large bowl. Add the sultanas, currants, peel and cherries. Mix the flour and fruit into the creamed mixture, adding a little milk, if required. Aim for a soft consistency. Step Three : Place half the mixture in the tin and flatten. Place a circle of marzipan on top. Put the remaining mixture on top of this and smooth out. Put the tin on a baking sheet and bake for 1 hour, then reduce the temperature to 150oC / Gas Mark 2. Bake for 2 – 2 1/2 hours or until a skewer inserted into the centre of the cake comes out clean. Once baked, allow it to cool completely. Step Four : Preheat the grill to medium. Gently heat the apricot jam in a pan until it’s warm, or in a microwave for 1 minute until it’s soft. Brush the top of the cake with the warm jam. Place the second circle of marzipan or almond paste on top. Decorate with the 11 marzipan balls. Brush the marzipan with egg yolk, then place it under the grill until the marzipan colours, just a little. Step Five : If you like, you can add yellow icing. Simply mix the icing sugar, water and yellow food colouring to decorate your cake. Step One : Preheat the oven to 180oC / 350oF / Gas Mark 4. Step Two : Grease two 20cm (8 inch) sponge tins and line with baking paper. Step Three : Cream the butter and sugar together in a mixing bowl using a wooden spoon or a hand-held mixer until the mixture is pale in colour and light and fluffy. Step Four : Add the eggs a little at a time, beating well after each addition. Step Five : Sift the flour and salt together and carefully add to the mixture, folding in with a metal spoon or a spatula. Divide the mixture between the tins and smooth over with the spatula. Step Six : Place the tins on the same shelf in the centre of the preheated oven and bake for 25-30 minutes until well risen, golden brown and beginning to shrink from the sides of the tins. Step Seven : Remove from the oven and leave to stand for 1 minute. Step Eight : Loosen the cakes from around the edges of the tins using a palette knife. Turn the cakes out onto a clean tea towel, remove the paper and invert them onto a wire rack (this prevents the wire rack marking the tops of the cakes). Step Nine : When completely cool, sandwich together with the jam and dust with icing sugar. The cake is delicious when freshly baked, but any remaining cake can be stored in an airtight tin for up to one week. Step One : Preheat the oven to 160oC / 325oF / Gas Mark 3. Grease two 20cm (8 inch) sandwich tins and line the bases with baking paper. Step Two : Break up the chocolate and place in a heatproof bowl over a saucepan of simmering water, add the milk and cocoa powder, then heat gently, stirring until melted and smooth. Remove from the heat. Step Three : In a large bowl beat the butter and Muscovado sugar together until pale and fluffy. Add the egg yolks, then beat in the soured cream and the melted chocolate mixture. Step Four : Sift in the flour and bicarbonate of soda, then fold in evenly. In a separate bowl, whisk the egg whites until stiff enough to hold firm peaks. Fold into the mixture lightly and evenly. Step Five : Divide the mixture between the prepared cake tins, smooth level and bake in the preheated oven for 35-40 minutes, or until risen and firm to the touch. Cool in the tins for 10 minutes, then turn out onto a wire rack. Step Six : To make the frosting, put the chocolate, cocoa powder, soured cream, golden syrup, butter and water in a saucepan and heat gently until melted. Remove from the heat and sift in the sugar, stirring until smooth. Cool, stirring occasionally, until the mixture begins to thicken and hold its shape. Step Seven : Split the cakes in half horizontally with a sharp knife to make four layers. Sandwich the cakes together with about a third of the frosting. Spread the remainder over the top and side of the cake swirling with a palette knife. Tip: Use a metal, ceramic or glass bowl when whisking egg whites. Plastic bowls scratch easily, so may not be grease-free, and will prevent the whites from foaming. Step One : Set the oven to Gas 4/180oC/350oF. Step Two : To make the cake: Whisk the egg yolks and the caster sugar together until thick and creamy. Fold in the chocolate and three-quarters of the chestnut puree. Step Three : Whisk egg whites until stiff, then fold into the chocolate and chestnut mixture. Divide between the tins and level the surface. Step Four : Bake the cakes in the centre of the oven for 20-25 mins, until they are firm in the centre. Remove from the oven and allow to cool in the tins for 5 mins before turning out on to a wire rack to cool. Step Five : To make the filling: Lightly whip the cream and sugar together. Mix the brandy, if using, with the remaining chestnut puree, then fold the puree into the cream. Step Six : Spread filling over one cake layer. Place the other on top. Dust with icing sugar. Recipe courtesy of Psychologies Magazine (February 2016) and taken from the book River Cottage Gluten Free written by Nutritionist, cook and River Cottage teacher Naomi Devlin. For a nut-free version of this moist, flavoursome cake, replace the ground almonds with 50g gluten-free white flour – the cake will be a little drier, but still delicious. Step One: Preheat the oven to 180oF/Fan 160oC/Gas 4. Line the base of the cake tins with discs of baking parchment and butter the sides. Sift the flour, cornflour, baking powder, psyllium and ground almonds together into a bowl; set aside. Pour the milk into a small bowl and add the vinegar to curdle the milk. Step Two: In a large bowl, cream the butter, sugar and vanilla extract together using an electric hand whisk or wooden spoon until light and fluffy (or use a stand mixer fitted with the paddle attachment). Beat in 1 egg, followed by 3 spoonfuls of the flour mix, beating well between each addition until the mixture is smooth again. Repeat until the eggs are all in, then beat in the rest of the flour mix. Beat in the curdled milk mix. Step Three: Scrape the mixture into the prepared tins and level the surface. Let stand for 15 minutes, then bake for 28-30 minutes until golden, springy and a skewer inserted into the centre comes out clean. Let stand for 10-15 minutes, then run a thin knife around the inside of the tin. Turn out the cakes and place, right side up, on a wire rack. Leave until cold. Step Four: Using a serrated knife, slice each cake in half horizontally to make four layers. Stir the lemon juice into the blackcurrant jam. Place one cake layer on a plate, spread with a third of the blackcurrant mixture and cover with a third of the whipped cream. Repeat twice, placing the prettiest cake layer on top. Sift a little icing sugar over the top and serve. This cake, with an upside-down topping and moist, sandy texture, this charmingly retro cake is naturally gluten-free. If you’re baking for someone who is sensitive to gluten, make sure to use gluten-free baking powder. Step One: Preheat the oven to 190oC. Lightly grease a 20cm round cake tin with butter and line the bottom with baking parchment. Generously grease the parchment with butter too. It’s best not to use a loose-bottomed tin here, but if that’s all you have, tightly wrap a double layer of foil around the outside of the base to prevent juices escaping. Step Two: Quarter the nectarines and cut them into thin slices. Toss with the sugar and lemon juice, then arrange in a single layer, slightly overlapping, round the bottom of your tin. Scrape any excess sugar syrup over the top. Step Three: To make the sponge, cream butter and sugar in a bowl with a wooden spoon, or in a stand mixer with the paddle attachment, until light and fluffy. Add the eggs, a little at a time, beating well between each addition. Fold in the almonds, polenta, baking powder, lemon zest and salt. Step Four: Spoon the batter over the nectarines, smooth the surface with a spatula, then tap firmly on the work-surface to remove any bubbles. Bake for 35-40 minutes, until risen and golden. Step Five: Remove the cake from the oven, run a sharp knife around the edge, then leave to cool for 10 minutes before turning out onto a plate. Serve warm or at room temperature. This recipe is courtesy of Easy Living Magazine. Heat the oven to 145oC (gas mark 1 ½ ). Grease a 23cm (9in) pie dish. To make the crust, crush the biscuits to fine crumbs. Add the melted butter – the amount of butter you need varies. Squeeze a bit of the mixture into your hand to make a ball. The mixture should hold its shape, but also fall apart when touched slightly. If it doesn’t hold its shape too well, add more biscuits to absorb the butter. Press the mixture into the pie dish, going all the way up the sides. Cover with a round of greaseproof paper and fill with baking beans to the top. Bake in the hot oven for 12-20 minutes until the crust is firm and dry. Remove from the oven and let it cool. To make the Malibu whipped cream, combine the cream, icing sugar, vanilla extract and Malibu in a bowl and whisk to stiff peaks. Spread a thin layer of the Malibu whipped cream over the base of the baked pie shell. Spoon the coconut pastry cream (see below) into te pie and level with spatula. Dollop the remaining Malibu cream on top. Sprinkle toasted shredded coconut over the top and drizzle with dark and white melted chocolate. Refrigerate for 1 hour before serving. Put the coconut milk and cream and half the sugar in a saucepan over a medium heat and stir. As soon as it comes to the boil, remove it from the heat and set aside. Place the egg yolks, vanilla extract and coconut extract in a large, heatproof bowl. In a separate bowl, combine the remaining sugar and the cornflour and mix thoroughly. Add to the egg yolks and whisk thoroughly. While the milk mixture is still hot, whisk it into the egg mixture in the bowl. Strain the mixture back into the saucepan, set over a medium-low heat and whisk continuously until it reaches a boil. Strain the mixture again into a bowl and stir in the butter until melted and thoroughly combined. Lay a sheet of cling film directly on the surface of the pastry cream, then let cool. Refrigerate for 30 minutes before using. When ready to use, whisk lightly to bring back to a semi-soft consistency. Heat the oven to 160oC (gas mark 2-3). Grease a 20cm (8 in) round cake tin and line the base with greaseproof paper. Using an electric mixer with paddle or beater attachment (or an electric whisk), beat the butter and both sugars until the mixture is almost light in colour and fluffy in texture. Add the eggs, one at a time, beating until thoroughly combined before adding the next. Scrape down the side of the bowl and mix again for 1 minute. In another bowl, combine the flour, baking powder, bicarbonate of soda, all the spices and salt and sift twice. Add one third of the flour mixture to the egg mixture and mix until well incorporated. Repeat with another third of the flour mixture, then the rest of the flour mixture and mix until just combined. Pour the bourbon over the apples in a bowl and mix. Fold the apples and pecans into the cake mixture. Spoon the mixture into the prepared cake tin. Bake in the hot oven for 55-70 minutes. A wooden skewer inserted in the middle should come out with almost no crumbs attached, and the middle of the cake, when pressed, should spring back slightly instead of sinking. Bake for an additional 5-10 minutes if necessary. Remove from the oven and let cool in the tin for 10 minutes. Slide a table knife all around the edge to loosen the cake, then remove from the tin. Transfer to a wire rack to cool for 1 hour.